The Law Library subscribes to several online databases that are useful in conducting legal research. Access to some databases is limited to Baylor law students and faculty. Unless otherwise noted below, the databases must be accessed through computers at the law school. For further assistance with these databases, please contact the Reference Librarian at 254.710.4587 or the circulation desk at 254.710.2168. This database offers downloadable MP3 files of court opinions as well as streaming trial videos. Coverage includes cases on products liability, commercial law, and mergers and acquisitions. To register for the database, go to the registration link and select "a member" in step one and "school" in step two. Then select Baylor from the list and complete the form. Database users must register with their law school email addresses. *Database limited to law school students and faculty. Authorized users may access upon registering on the site. This resource contains information services and reports on various legal, regulatory, economic, and international subjects, including bankruptcy law, criminal law, international trade, health law, employment law, labor relations, taxation, and intellectual property. *Access limited to law school students and faculty. Cheetah provides access to the Wolters Kluwer Academic Legal Professional Library, which includes various Commerce Clearing House (CCH) publications that cover topics such as bankruptcy, corporate governance, mergers and acquisitions, securities law, and tax law. This site provides online exercises intended to assist law students with their coursework. Lessons cover first-year and advanced topics, including Civil Procedure, Contracts, Intellectual Property, Sales, and International Law. To access CALI, users must create their own CALI accounts. In order to complete the account registration process, please contact the circulation desk to obtain the Law School Authorization Code. For more information, please visit our dedicated CALI Resources page. *Database is accessible off-campus (limited to law school students and faculty). This database contains articles from the CQ (Congressional Quarterly) Almanac, the Political Handbook of the World, the Supreme Court Yearbook, CQ's Historic Documents Series, and other related publications. *Database is accessible off-campus to all Baylor students and faculty through Baylor University Libraries. This database contains indexes for hundreds of recent articles appearing in law reviews, law journals, and other periodicals. *Database is accessible to all Baylor students and faculty on the Baylor University campus through Baylor University Libraries. This database contains foreign law information, including codes and legislation for various countries. *Database is accessible off-campus to all Baylor students and faculty. Health Affairs is a leading peer-reviewed journal on health policy and research. *Database is accessible to all Baylor students and faculty. Access limited to Baylor University Campus. This database contains PDF images of law journals, bar journals, federal government documents, state session laws, treaties, and other historical legal materials. The HeinOnline Law Journal Library contains full sets of journals dating back to their inception. Hotshot is an electronic resource that provides short, practical videos covering legal and business skills as well as related materials including interactive quizzes and downloadable outlines. 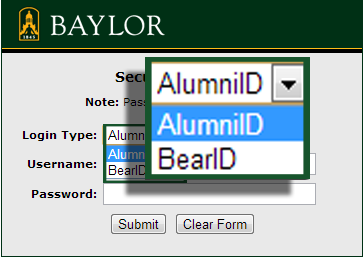 Users must first create an account with their Baylor email address via the account setup page. *Access limited to law school students and faculty. Authorized users may access upon registering on the site. Internet Guide for the Legal Researcher, 3d. This database contains legal research reference guides and resources. To access this database, please contact the circulation desk to obtain a user name and password. *Database is accessible to all Baylor students and faculty.. The Law Library Microform Consortium contains a digitized collection of historical legislative materials, federal cases, and administrative decisions. LawTRIO is a searchable database of various bibliographic guides, including Legal Looseleafs in Print, Legal Newsletters in Print, and the Directory of Law-Related CD-ROMs. This website is designed to improve the distribution of research, particularly at the prepublication stage. It includes abstracts, working papers, and accepted papers from more than 40 journals covering major areas of law. Users may register by selecting "Subscribe to Networks and Journals." When registering, please enter your personal information and list "Baylor University - Law School" as the organization. LegalTrac is an online index of legal periodicals published since 1980. The articles indexed in LegalTrac are identical to those in Current Law Index, which is shelved on the third floor of the Law Library. *Baylor University faculty and students may access LexisNexis Academic through Baylor University Libraries. This database contains treatises and related materials concerning Roman Law, Islamic Law, Jewish Law, Ancient Law, and international, foreign, and comparative law. This database provides digital PDF images of 22,000 legal treatises on US and British law published from 1800 through 1926. This database contains U.S. constitutional conventions and compilations, city charters, state codes, state administrative decisions, law dictionaries, and various published records of the original American Colonies. This database is a collection of court transcripts and trial accounts based on the holdings of the law libraries of Harvard, Yale, and the Library of the Bar of the City of New York. This database provides access to companion materials for various manuals published by the NCLC. Topics covered in the materials include bankruptcy, credit discrimination, fair debt collection, and foreclosures. This resource provides access to full-text versions of the constitutions of more than 200 countries, and an additional 200 subnational jurisdictions, which have been translated into English. This database contains the full text of historical and current Congressional documents. Portions of the database have the same information as what is found in the Congressional Information Service legislative histories. This database provides electronic access to titles produced by the Research Institute of America, including various tax and business publications. An electronic publication focusing on lawyers who represent busiensses in litigation, transactional, and regulatory matters in Texas. *Publication is also accessible off-campus to all Baylor students and faculty through the Academic OneFile database at Baylor University Libraries. This database contains records and briefs from cases brought before the U.S. Supreme Court from 1832-1978. *Law students seeking information concerning summer access to Westlaw should contact Baylor Law's Westlaw representative. Contact information for our representative can be found on the database's opening pages. For federal government resources, please see the Government Documents page. Texas Law Help - A comprehensive self-help resource covering many areas of Texas law. Public Record Authority - Provides links to hundreds of free public record sites maintained by federal, state, and local governments. The Center for Computer Assisted Legal Instruction (CALI) website hosts more than 900 Lessons in 30 legal topic areas. Lessons are authored by experienced law faculty and law librarians who teach in the subject area in which they write lessons. CALI's eLangdell® Press publishes free, open eBooks for legal education. The casebooks are compatible with devices like smartphones and e-readers, as well as print. Educators can adopt and edit eLangdell's Creative Commons licensed casebooks, for free. Students and faculty can use eLangdell casebooks for free. Baylor Law students who wish to use the CALI resources on the web will need to register and enter the school's authorization code. Email BaylorlawIT@baylor.edu if you are a Baylor Law student and need the authorization code. During the registration process, you will create a password. In subsequent visits, you will only need to enter your email address and password. Find more information about registering for CALI lessons in this CALI FAQ: How Can I Get Access to CALI Lessons and Other Resources? Note: You will need to select the "Login Type" of AlumniID before logging in.